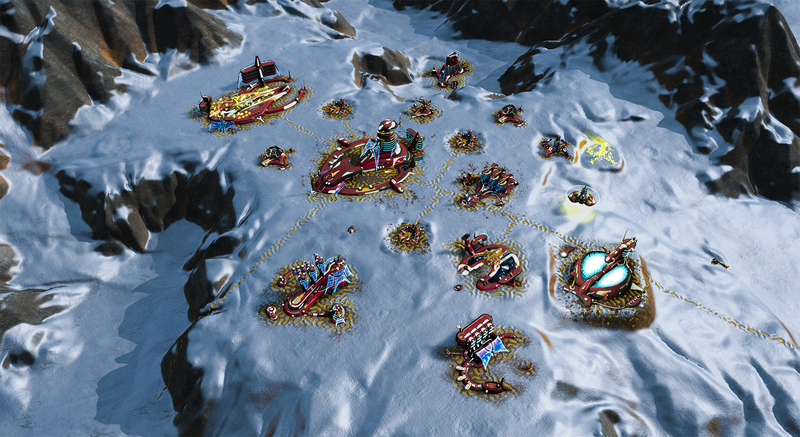 Wage War on a Massive Scale in Ashes of the Singularity - Available Now! 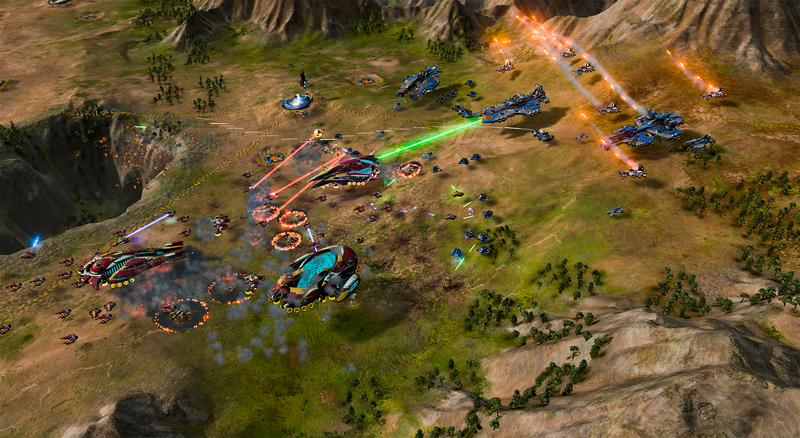 Ashes of the Singularity has officially released, get it now! Get it Now on Steam, Stardock or GOG.com! Planet by planet, a war is raging across the galaxy. Two opposing factions are locked in war: the descendants of humanity, the Post Human Coalition, and the bitter, strong-AI called the Substrate. Each seek control of newfound worlds and will fight until the only one left standing is the victor who will claim it all. You want a war? We'll give you a war! 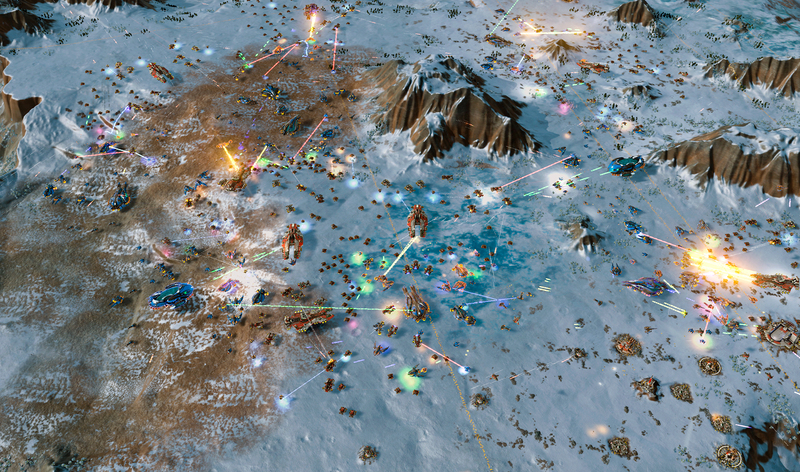 Experience massive numbers of units that can be easily organized into armies, allowing you to fight battles across several different fronts simultaneously. With two unique factions, The Post-Human Coalition and The Substrate, tons of possible combinations for units, and a large selection of maps, no two wars will be the same. In the year 2178, humanity has begun to evolve into god-like Post-Humans and are now expanding out into the galaxy. Learn more about how the Post-Human Coalition formed and what mysterious threats they encounter as they explore new worlds in this exciting campaign mode. Try the "scenarios" mode and take on unique challenges like "King of the Hill," a scenario that pits you against an endless onslaught of enemies to see just how long you can survive. Play custom matches with friends and engage in a lively multiplayer community. Join in on ranked 1v1 multi-player matches to see how you hold up against other Ashes players! You can check out the Metaverse scoreboard here. This new and powerful 3D 64-bit, multi-core engine allows for the rendering of Ashes' thousands of units on screen at once and supports DirectX 11, DirectX 12, and multiple GPUs. Games are won or lost based on your strategy, not how fast you can click. Deciding what technologies to research, where to send armies, how to manage your economy, and what units to construct are critical. 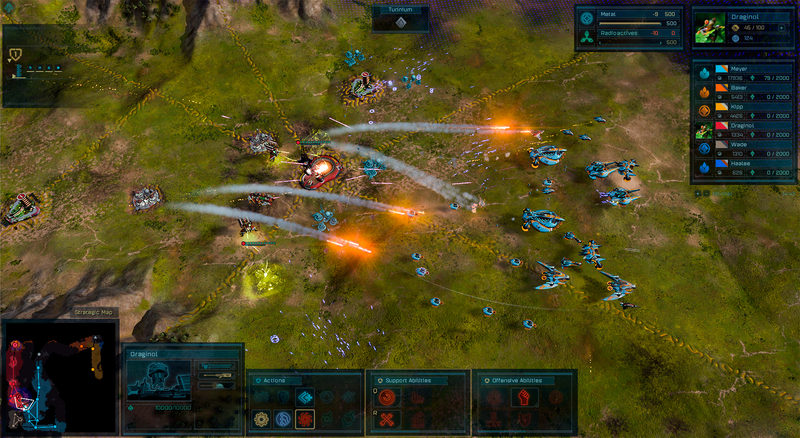 Get Ashes of the Singularity now on Steam, Stardock or GOG.com. Is there a problem with AI surrender? Copyright © 2019 Oxide Games. 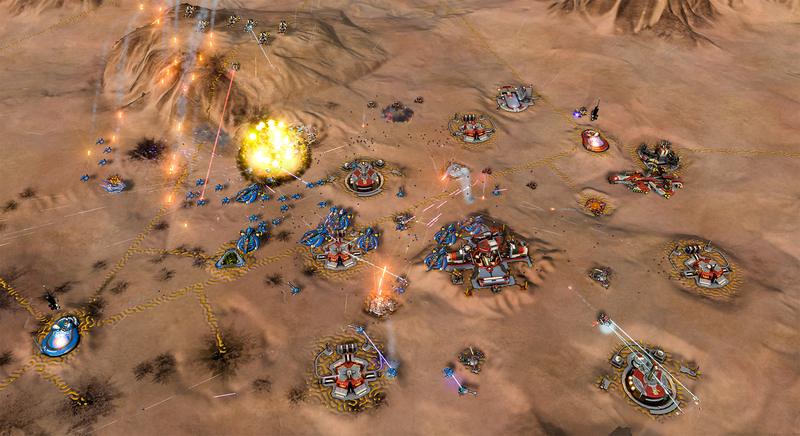 Ashes of the Singularity is a trademark of Stardock Entertainment. AMD, the AMD Arrow logo and combinations thereof are trademarks of Advanced Micro Devices, Inc. Steam and the Steam logo are trademarks and/or registered trademarks of Valve Corporation in the U.S. and/or other countries. All rights reserved.